Anesthesiology isn't just giving gas through a mask and putting patients to sleep before an operation. Simply put, anesthesiologists handle everything that keeps a a patient alive in critical situations. And undergoing an operation with general anesthesia is a pretty critical situation. So, koas will not be spending any time in the polyclinic (that's not critical) and instead be in the operating room 90% of the time. The remaining 10% is spent in the ER, ICU, and doing a "pre-op" the night before on patients in the ward who are going to undergo surgery the next day. So, Anesthesiology involves anesthesia, fluid/electrolyte balance, airway management, pain management, maintaining vitals/homeostasis, interpreting blood/urine results, and more. In Sardjito, the day starts at 6:30 AM with a two hour meeting of residents that koas have to join as well. Then, it's off to the operating rooms for the whole day. In the late afternoon, there is a "lapangan" activity that involves going to a futsal court or a tennis court and watching the residents play. 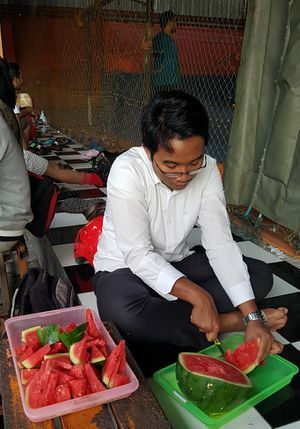 During this time, it is tradition for the female koas to cut up a watermelon for the residents. At the end of this "lapangan", the schedule for the following morning's surgeries is released. The koas quickly select a surgery to join the next day, contact the resident in-charge of it, and contact them. After this happens, everybody goes back to Sardjito to do "pre-op". They visit their patients and do a short anamnesis and basic exams. This is to ensure that the correct anesthesia and breathing apparatus is used the following day. It is also a chance to catch any contraindications or risk factors for surgery the next day. 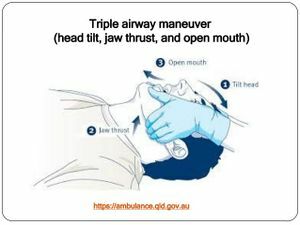 For example, if we find a rigid neck then perhaps we should be careful before suggesting intubation (which requires extension of the neck). Once the pre-op is done, the koas send a message to the resident with their findings. At this point, they can finally go home. Differences between inhaled anesthesia vs TIVA vs spinal anesthesia. Differences between devices such as LMA and ET. Common drugs used for and with anesthesia. ET has lower risk of aspiration compared to LMA. Laryngoscope: used to depress the tongue and reveal the trachea (the glottis) and guide the ETT into it. Stethoscope: used to confirm successful ETT insertion. ETT (endotracheal tube): 2 sizes. 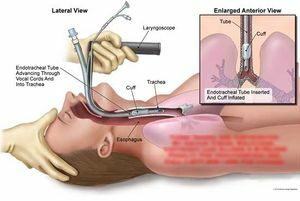 Mayo tube (aka oropharyngeal airway (OPA)): inserted before extubation to keep the tongue from falling back and blocking the airway. Oxygen and mask: for preoxygenation. Stylet: not always used. Helps to keep the tube's shape in a curve. Connector: usually already affixed to the ET tube or oxygen pipe. Suction: used to remove mucus right before extubation and rarely, before intubation. Syringe: filled with air and with the needle removed. Plaster (Hypafix) x 4: 2 thin long strips to hold ETT and another 2 small pieces to shut eyelids. 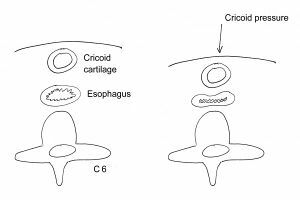 stridor; when stridor happens, consider that circumference of airway reduced to roughly 10% of normal caliber!!!! Ampoule: 200mg/20 ml, at a concentration of 10 mg/ml. Duration of action: 10-15 minutes. Less than 55 years: Anesthetic Induction: 40 mg IV every 10 seconds until induction onset. Total dose required is 2 to 2.5 mg/kg with a maximum of 250 mg.
Less than 55 years: Maintenance of Anesthesia: IV infusion: 100 to 200 mcg/kg/min. Maximum dose 20,000 mcg/min. Maximum dose 10,000 mcg/min. Intermittent bolus: 20 to 50 mg as needed. Equipment required for ETT intubation on QueensU.ca. Intraoperative Fluid Management on Uptodate. Emergency Medicine mnemonics on EmergencyMedic.